This End User License Agreement (“Agreement”) constitutes a valid and binding agreement between CREA SOLUTION Srl (together with its affiliates, successors and assigns “CREA SOLUTION“) and you (“you,” or “your”) for the use of the CREA SOLUTION Software License, either a Stand-Alone or Network version or Services, as those terms are defined below. You must enter into this agreement, read it and AGREE to its conditions in order to install and use the CREA SOLUTION Software. BY INSTALLING AND USING THE CREA SOLUTION SOFTWARE, YOU AGREE TO BE BOUND BY THE TERMS OF THIS AGREEMENT. IF YOU DO NOT AGREE TO THE TERMS OF THIS AGREEMENT, DO NOT INSTALL OR USE THE CREA SOLUTION SOFTWARE. NOT ACCESS THE SERVICES . Subject to the terms of this Agreement, CREA SOLUTION hereby grants you a limited, non-exclusive, personal, non-sub licensable, non-assignable or transferable license to download, install and use the CREA SOLUTION Software, including any online or enclosed documentation or data distributed to your computer for processing, and any future programming fixes, updates and upgrades provided to you (collectively, the “CREA SOLUTION Software“) onto a computer for your sole use, to install, interact with and utilize the CREA SOLUTION Software, including the content and features contained therein and the services, Updates and Upgrades related thereto (“Services“). The CREA SOLUTION Software may only be used in connection with the Services. As used herein, the term “Network” means the universe of computers connected to a Local Network or/and to the Internet that are operating the CREA SOLUTION Software. (A) infringes any third party’s intellectual property or other proprietary right; (B) is defamatory, harmful, abusive, obscene or hateful; (C) in any way obstructs or otherwise interferes with the normal performance of another person’s use of the CREA SOLUTION Software or Services, (D) performs any unsolicited commercial communication not permitted by applicable law; (E) is harassment or a violation of privacy or threatens other people or groups of people; and (F) impersonates any other person, or steals or assumes any person’s identity (whether a real identity or online nickname or alias. The CREA SOLUTION Software and Services contain confidential and trade secret information owned or licensed by CREA SOLUTION, and you agree to take reasonable steps at all times to protect and maintain the confidentiality of such information. The CREA SOLUTION Software and Services may be incorporated into, and may incorporate, technology, software and services owned and controlled by third parties. Use of such third party software or services is subject to the terms and conditions of the applicable third party license agreements, and you agree to look solely to the applicable third party and not to CREA SOLUTION to enforce any of your rights. All modifications or enhancements to the CREA SOLUTION Software and Services remain the sole property of CREA SOLUTION. You understand that CREA SOLUTION, in its sole discretion, may modify or discontinue or suspend your right to access any of its Services or use any of the CREA SOLUTION Software at any time, and may at any time suspend or terminate any license hereunder and disable any CREA SOLUTION Software you may already have accessed or installed without prior notice. CREA SOLUTION reserves the right to add additional features or functions to the CREA SOLUTION Software. When installed on your computer, the CREA SOLUTION Software will periodically communicates with CREA SOLUTION servers for Upgrade and/or Updates. You acknowledge and agree that CREA SOLUTION has no obligation to make available to you any subsequent versions of its software applications, unless otherwise is agreed in writing. Permission to Utilize. In order to receive the benefits provided by the CREA SOLUTION Software, you hereby grant permission to use the CREA SOLUTION license and utilize all the CREA SOLUTION Software modules that you have received the right to use. You understand that the CREA SOLUTION Software will protect the privacy and integrity of your computer resources and communication and ensure the unobtrusive utilization of your computer resources to the greatest extent possible. The CREA SOLUTION Software and Services contain proprietary and confidential information of CREA SOLUTION, including copyrights, trade secrets and trademarks contained therein, which are protected by international copyright laws. 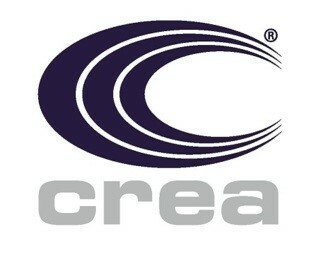 Title to and ownership of the CREA SOLUTION Software, including without limitation all intellectual property rights therein and thereto, are and shall remain the exclusive property of CREA SOLUTION and its suppliers, and except for the limited license granted to you, CREA SOLUTION reserves all right, title and interest in and to the CREA SOLUTION Software. You shall not take any action to jeopardize, limit or interfere with CREA SOLUTION’ ownership of and rights with respect to the CREA SOLUTION Software and Services. You acknowledge that any unauthorized copying or unauthorized use of the CREA SOLUTION Software or Services is a violation of this Agreement and copyright laws and is strictly prohibited. This Agreement will be effective as of the date you accept this Agreement, thereby expressly agreeing to the terms and conditions set forth herein, and will remain effective until terminated by either party as set forth below. You may terminate this Agreement at any time provided you cease all use of the CREA SOLUTION Software and Services AND destroy or remove from all hard drives, networks, and other storage media all copies of the CREA SOLUTION Software in your possession. In case of breaching any part of the enclosed ‘License Agreement’ CREA SOLUTION may terminate this Agreement at any time, with or without cause, by providing notice to you and/or preventing your access to the CREA SOLUTION Software and/or Services. Upon termination of this Agreement for any reason (i) all licenses and rights to use the CREA SOLUTION Software and the Services shall terminate and you must remove the CREA SOLUTION Software from your computer equipment and dispose of all originals and copies of the CREA SOLUTION Software in your possession, and (ii) Sections 2, 4, and 7 through 10 shall survive such termination. Unless you are using a DEMO release of CREA SOLUTION, You acknowledge that CREA SOLUTION Software is only available to paid subscribers. If you do not wish to subscribe, you acknowledge that you cannot access functions and services only available to paid subscribers. To subscribe to the Subscription Services you must AGREE to the terms and conditions of the Subscription Service. You represent and warrant that (i) you possess the legal right and ability to enter into this Agreement and to comply with its terms, (ii) you will use the CREA SOLUTION Software and Services for lawful purposes only and in accordance with this Agreement and all applicable laws, regulations and policies, (iii) you will not attempt to decompile, reverse engineer or hack the CREA SOLUTION Software or to defeat or overcome any encryption and/or other technical protection methods implemented by CREA SOLUTION with respect to the CREA SOLUTION Software and/or data transmitted, processed or stored by CREA SOLUTION or other users of the CREA SOLUTION Software, (iv) you will always provide and maintain true, accurate, current and complete information as requested by CREA SOLUTION, and (v) you will only use the CREA SOLUTION Software and Services on a computer on which such use is authorized by the computer’s owner. You agree that you will not use any automatic or manual device or process to interfere or attempt to interfere with the proper working of the CREA SOLUTION Software and any of its additional parts, except to remove the CREA SOLUTION Software from a computer of which you are an owner or authorized user in a manner permitted by this Agreement. You may not violate or attempt to violate the security of the CREA SOLUTION Software License. CREA SOLUTION reserves the right to investigate occurrences which may involve such violations, and may involve, and cooperate with, law enforcement authorities in prosecuting users who have participated in such violations. If CREA SOLUTION has reasonable grounds to suspect that your representations, warranties or promises are inaccurate or breached, CREA SOLUTION may terminate this license, deny any or all use of the CREA SOLUTION Software and/or Services, and pursue any appropriate legal remedies. You agree to indemnify, hold harmless and defend CREA SOLUTION and its affiliates, parent companies, subsidiaries, officers, directors, employees, agents and network service providers at your expense, against any and all third-party claims, actions, proceedings ,and suits and all related liabilities, damages, settlements, penalties, fines, costs and expenses (including, without limitation, reasonable attorneys’ fees and other dispute resolution expenses) incurred by CREA SOLUTION arising out of or relating to your (a) violation or breach of any term of this Agreement or any policy or guidelines referenced herein, or (b) use or misuse of the CREA SOLUTION Software and/or Services. MERCHANTABILITY, OR FITNESS FOR A PARTICULAR PURPOSE, NOR ARE THERE ANY WARRANTIES CREATED BY COURSE OF DEALING, COURSE OF PERFORMANCE, OR TRADE USAGE. CREA SOLUTION FURTHER DOES NOT REPRESENT OR WARRANT THAT THE CREA SOLUTION SOFTWARE OR ANY SERVICES WILL ALWAYS BE AVAILABLE, ACCESSIBLE, UNINTERRUPTED, TIMELY, SECURE, ACCURATE, COMPLETE, ERROR-FREE, OR WILL OPERATE WITHOUT DATA LOSS, NOR DOES CREA SOLUTION WARRANT ANY CONNECTION TO OR TRANSMISSION FROM THE INTERNET, OR ANY QUALITY OF DATA MADE THROUGH THE CREA SOLUTION SOFTWARE OR THE SERVICES. YOU ACKNOWLEDGE THAT THE ENTIRE RISK ARISING OUT OF THE USE OR PERFORMANCE OF THE CREA SOLUTION SOFTWARE AND SERVICES REMAINS WITH YOU TO THE MAXIMUM EXTENT PERMITTED BY LAW. THE CREA SOLUTION SOFTWARE IS UTILIZED AND DISTRIBUTED BY THIRD PARTIES WHICH ARE UNRELATED TO CREA SOLUTION. YOU ACKNOWLEDGE THAT INSTALLATION OF THE CREA SOLUTION SOFTWARE LICENSE DOES NOT PREVENT THIRD PARTIES WHO ARE NOT AN CREA SOLUTION USER THE ABILITY TO COMMUNICATE WITH YOUR COMPUTER (“OUTSIDE PARTIES”). YOU AGREE THAT CREA SOLUTION WILL NOT BE LIABLE FOR ANY DAMAGE, CLAIM OR LOSS OF ANY KIND WHATSOEVER, INCLUDING BUT NOT LIMITED TO INDIRECT, INCIDENTAL, SPECIAL OR CONSEQUENTIAL DAMAGES AS STATED IN PARAGRAPH 10(a) BELOW, RESULTING FROM ANY ACTIONS OR OMISSIONS OF THE OUTSIDE PARTIES. As some jurisdictions do not allow some of the exclusions set forth in this Section 9, some of these exclusions may not apply to you. IN NO EVENT SHALL CREA SOLUTION, ITS AFFILIATES, PARENT COMPANIES, SUBSIDIARIES, OFFICERS, DIRECTORS, EMPLOYEES, AGENTS OR NETWORK SERVICE PROVIDERS BE LIABLE WHETHER IN CONTRACT, WARRANTY, TORT (INCLUDING NEGLIGENCE (WHETHER ACTIVE, PASSIVE OR IMPUTED), PRODUCT LIABILITY OR STRICT LIABILITY OR OTHER THEORY), FOR ANY INDIRECT, INCIDENTAL, SPECIAL OR CONSEQUENTIAL DAMAGES (INCLUDING WITHOUT LIMITATION ANY LOSS OF DATA, SERVICE INTERRUPTION, COMPUTER FAILURE OR PECUNIARY LOSS) ARISING OUT OF THE USE OR INABILITY TO USE THE CREA SOLUTION SOFTWARE OR THE SERVICES, EVEN IF CREA SOLUTION HAS BEEN ADVISED OF THE POSSIBILITY OF SUCH DAMAGES . YOUR ONLY RIGHT WITH RESPECT TO ANY PROBLEMS OR DISSATISFACTION WITH THE CREA SOLUTION SOFTWARE AND/OR SERVICES IS TO REPLACE THE DEFECTIVE CD MEDIA. As some jurisdictions do not allow some of the exclusions set forth in this Section 11, some of these exclusions may not apply to you. Support and Upgrade are provided ONLY to those users who are entitled to this service. Meaning: Only user that will pay the annual service and upgrade fee is entitled to these services. You acknowledge and agree that by clicking on the button labeled “I AGREE”, “DOWNLOAD” or such similar links as may be designated by CREA SOLUTION to download the CREA SOLUTION Software to accept the terms and conditions of this Agreement, you are submitting a legally binding electronic signature and are entering into a legally binding contract. You acknowledge that your electronic submissions constitute your agreement and intent to be bound by this Agreement. Pursuant to any applicable statutes, regulations, rules, ordinances or other laws, YOU HEREBY AGREE TO THE USE OF ELECTRONIC SIGNATURES, CONTRACTS, ORDERS AND OTHER RECORDS AND TO ELECTRONIC DELIVERY OF NOTICES, POLICIES AND RECORDS OF TRANSACTIONS INITIATED OR COMPLETED THROUGH THE CREA SOLUTION SOFTWARE OR SERVICES. Further, you hereby waive any rights or requirements under any statutes, regulations, rules, ordinances or other laws in any jurisdiction which require an original signature or delivery or retention of non-electronic records. CREA SOLUTION reserves all rights not expressly granted herein. CREA SOLUTION may modify this Agreement at any time by providing such revised Agreement to you or posting the revised Agreement on its website located at www.CREASOLUTION.it Your continued use of the CREA SOLUTION Software and/or Services shall constitute your acceptance of such revised Agreement. You may not assign this Agreement or any rights hereunder. Nothing in this Agreement shall constitute a partnership or joint venture between you and CREA SOLUTION. Should any term or provision hereof be deemed invalid, void or unenforceable either in its entirety or in a particular application, the remainder of this Agreement shall nonetheless remain in full force and effect. The failure of CREA SOLUTION at any time or times to require performance of any provision hereof shall in no manner affect its right at a later time to enforce the same unless the same is waived in writing. This Agreement shall be governed by and construed in accordance with the laws of the State of Italy without regard to its conflict of law rules. Any legal proceeding arising out or relating to this Agreement will be subject to the exclusive jurisdiction of any court of the State of Italy sitting in Bologna and you irrevocably consent to the jurisdiction of such courts. The terms set forth in this Agreement and any related service agreements constitute the final, complete and exclusive agreement with respect to the CREA SOLUTION Software and Services and may not be contradicted, explained or supplemented by evidence of any prior agreement, any contemporaneous oral agreement or any consistent additional terms. CREA SOLUTION may at its sole discretion assign this Agreement to a subsidiary or sister company, without giving prior notice. YOU EXPRESSLY ACKNOWLEDGE THAT YOU HAVE READ THIS AGREEMENT AND UNDERSTAND THE RIGHTS, OBLIGATIONS, TERMS AND CONDITIONS SET FORTH HEREIN. BY CONTINUING TO INSTALL THE CREA SOLUTION SOFTWARE, YOU EXPRESSLY CONSENT TO BE BOUND BY ITS TERMS AND CONDITIONS AND GRANT TO CREA SOLUTION THE RIGHTS SET FORTH HEREIN.